Note: This post is the first part of a two-part blog series featuring company stories from the Embedded Executive Funding program. The program is designed to foster the growth of novel Ontario-based technology ventures by helping them engage an embedded executive. Apply now: The Embedded Executive program is accepting applications from ventures working in Regional Innovation Centres in Ontario until January 5, 2015. To learn more about venture eligibility and application requirements, visit the program page. In today’s world of working, companies are expected to do more with less. They are also expected to make quick decisions and to always have a solution up their sleeve. And for many young companies, it’s hard to deliver on these expectations. Now, imagine if you could take a young company and add someone to its team who has been there and done that. That’s what the Embedded Executive Funding program does. Understanding the constant need for ventures in our startup community to have the right business expertise in house in order to scale and grow, the Embedded Executive Funding program was designed to do just that by pairing ventures up with a C-level or senior-level executive. These executives join the small businesses on a contract basis to help the ventures reach specific short-term business goals, working side-by-side with the companies, providing a deep level of feedback and insights. With the addition of this team member, early-stage companies can better address problems, create solutions and gain exposure to new networks in a shorter time frame than they might on their own. The program builds mutually beneficial relationships where the venture receives incredible advice, while the executive has the opportunity to get involved with a thriving new company, which is a reward in itself. It also provides an opportunity for ventures to test out a new management team member or role for a short period of time and without a full employment commitment. In some cases, this addition is able to accelerate the company to a point where the embedded executive can remain with the company for a longer engagement. Once a venture is accepted into the program it is provided with up to $50,000 for a six-month engagement and is required to contribute $15,000 toward its executive’s salary over the contract period. The program is funded through the Business Acceleration Program, which helps to support technology entrepreneurs in the Ontario Network of Entrepreneurs. I sat down with James Colliander, co-founder and CEO of Crowdmark, to talk about his experience with the program. 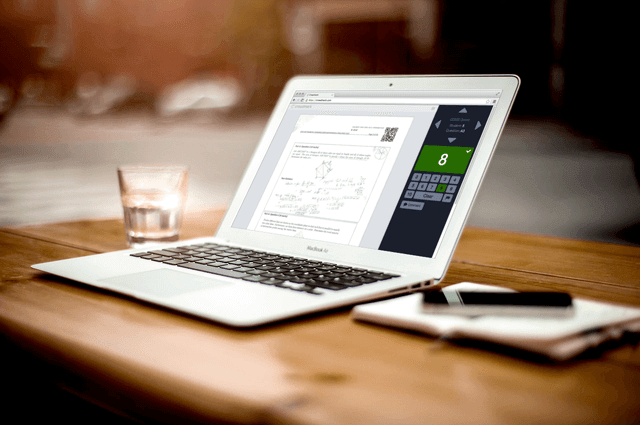 Crowdmark is a collaborative online grading and analytics program that streamlines the complicated and time-consuming grading workflow for teachers. 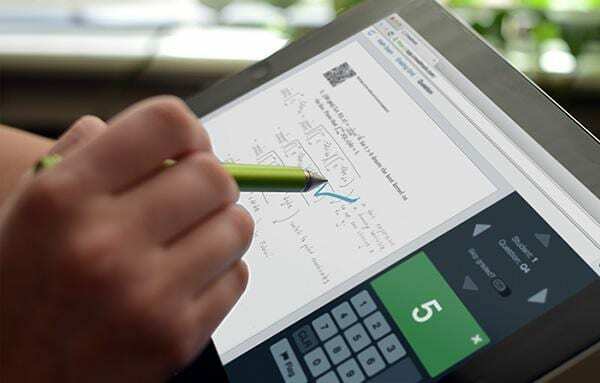 The software enables educators to grade a variety of assessment types, including handwritten tests, securely in a web browser. By scaling marking to an institutional level, the online service takes the pain out of academic assessment. Sarah Aspler (SA): Who joined your team in the position of an embedded executive? James Colliander (JC): We were lucky to have Michelle Caers on board as our embedded executive and she has been an incredible resource. Crowdmark is an education technology company focused on selling into higher education, and Michelle has over 20 years of experience at the intersection of business, education and technology. Her role was a mixture of marketing, business development and sales advising. She gave advice on contracts and the repurposing of our website, and help set up a marketing strategy. I’m a math professor with a background in academia, where the pace of development and innovation is slower, so it was valuable for someone to come in and show us how to operate in the world of business. SA: Did she help your company reach short-term goals and milestones? JC: During the time that Michelle was embedded in our company, we made revenue for the first time. This was a big deal. We also designed, implemented and deployed a more business-to-enterprise focused website. We became more disciplined in lead generation, managing those leads and how to convert them into pilots and eventual sales. With Michelle’s guidance, we started to focus internally on our entire marketing and sales engine. That’s a lot of details, but what I’m really just trying to say is that the program helped transform the Crowdmark company from a cool idea into a business that could generate money. SA: Were there any surprises or unexpected lessons you learned from your executive? JC: Before this program, I was under the naive impression that after we build the technology, the people who want to use the technology will go ahead and buy it. Michelle helped point out that because we are interacting with private information from students and procurement processes and legal teams with universities, the process of selling is much more involved. There are contracts and paperwork that I didn’t initially anticipate. Another takeaway was that we needed to shift our messaging. As an academic, I tended to write long communication materials littered with details. Michelle helped redirect our communications to become much more direct and strategic. She helped transition us from academic-style messaging to business-style messaging, which was an incredible learning lesson. SA: How has your company been performing since the program has ended? JC: We launched commercially just before the fall semester of 2013, which means the platform has been live for three semesters. We’ve seen a three times expansion in our user base each of those semesters, resulting in a nine-fold increase in our users annually.